Everyone knows Spiderman. He flips around with web shooting out of his hands and beats up bad guys. But…if you ask how he gained all those superpowers, you might get different answers depending on the generation of the person you are asking. The older crowd knows that he was bitten by a radioactive spider, which, rather than giving him leukemia, made him a hero. However, the younger generations would answer that he was bitten by a genetically modified spider. Why the difference? Stan Lee created Spiderman in the early 1960s. In the cold war era, when it seemed like nuclear war was both inevitable and imminent, radiation and nuclear fallout had Americans shaking in terror. Spiderman being bitten by a radioactive spider spoke to an underlying fear that resonated with many. 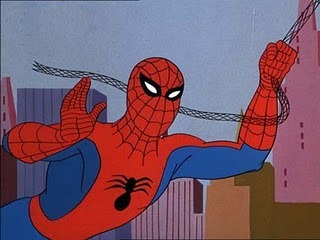 Spiderman’s popularity experienced a resurgence in 2002 with a new series of movies. This time it wasn’t radiation. A genetically altered spider bit Peter Parker, which makes perfect sense. In 2002, the Human Genome project was about a year from being completed, with rough drafts of the entire human genome already being disseminated. It was an amazing accomplishment. At the same time, our culture was becoming more aware of the possibilities and dangers involved with genetic modification. It wasn’t the radiation of the 1960s, in part because we were doing it to ourselves (and our food). This is a small example, but it shouldn’t be too surprising. Artistic expression often works with themes that resonate in culture, even when those themes aren’t obvious. In fact, I have a hunch that literature (and I use this word very, very loosely) often speaks to a culture most powerfully when it works with themes that are under the surface. When an unexpected nerve is hit, it hurts worse. Aside from interesting cultural analysis, the kinds of stories that our culture finds compelling can also tell us a lot about ourselves. Consider the biggest blockbusters over the last few years. What do they have in common? Have you noticed that there have been nauseatingly large quantities of superhero movies? You haven’t? Oh…I see. You live in a cave. What kind of hero do we want? Let’s leave Spiderman behind and look at two of the biggest superhero franchises over the last few years: Ironman and Batman. 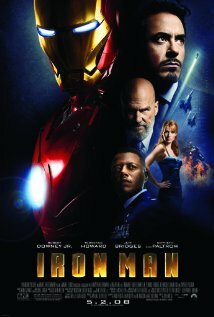 Both movie franchises made gobs of money, and most of the movies were fantastic (except for Ironman 2 – that was awful). There are some eerie parallels between these two. Both are the alter egos of wealthy billionaire playboys who use technology to gain an advantage over their enemies. And both commit acts of subjective violence, underscoring our deeply held belief that violence really can solve the world’s problems. This isn’t a commentary on violence per se, but it does show perhaps who we really trust in our society. We look to the billionaires and entrepreneurs, and especially to science and technology, to solve the problems that we face every day. We hope that through the use of money and technology we can actually even address the great evil that works its way through our world. I’m not intending simply to browbeat our culture and tell them that they’re putting their trust in the wrong thing. In fact, humans of been doing that for as long as there have been humans. But I do see some interesting parallels between our desire for a superhero and Jesus’ experience of the people he encountered in the Gospels. Everybody was looking for a hero to save them from the Romans (they called that hero “Messiah”). And so Jesus had to confront the people’s expectations while at the same time reshaping their desires. God was going to do something very unexpected. The kingdom of God, after all, was not something that was going to be achieved by military force. Instead, a new reality invaded the world, bringing God’s presence in and through the work of Jesus himself. Or, to put it another way, God’s presence was returning to Earth. While I’m sure nobody would have objected to God’s presence, it’s hard to imagine that this is what the people thought they really wanted. The same goes for us in the modern 21st-century. Our culture desires billionaire superheroes to bring innovative technology and scientific advancement, and we think this is going to actually save us from both ourselves and the evil that we encounter in our world. However, that hasn’t worked so far, and I really don’t think it’s going to work in the future. Jesus is not a superhero that is here to solve all our problems. Instead, he is God’s presence that has come to confront evil and actually take the full force of that evil onto himself. This goes far deeper than merely solving problems. It actually cuts right to the core of who we are as individuals and as communities. The problem is that the line between good and evil is drawn down the middle of each of us. Neither a superhero nor Google can save us from this reality.